Giovanni Mattia Ederle is the owner of the company ‘San Mattia Agricola Ederle’, located on the ridges of the hills of Verona. He is only 27 years old, but his ideas have always been clear and its goals ambitious. 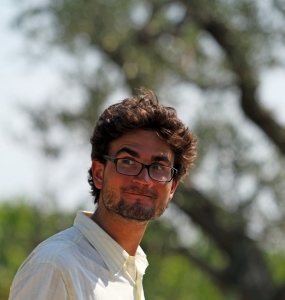 Giovanni inherited the family business, which had been acquired in the 20's by his grandfather Giuseppe, and in 2006 radically restructured his business, replanting vineyards, reactivating their vinification winery, and developing, as well as olive oil and wine sector, a farm holiday activity. 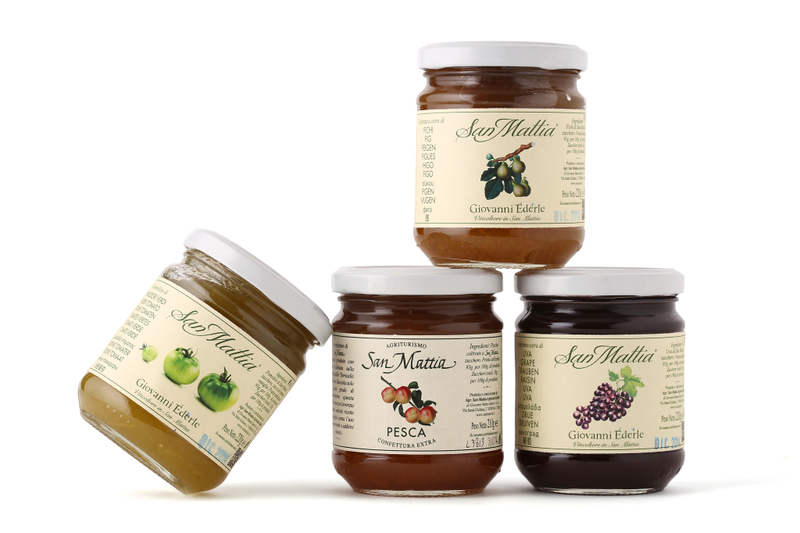 Today in San Mattia Agricola Ederle, which is being converted to organic cultivation, rural hospitality and corporate visits play an essential role, as well as marketing of high-quality products, including wines, extra virgin olive oil, jams, honey, and grappa. This company boasts seven wines, currently produced in 25,000 bottles and distributed in Central and Northern Europe. Four of these wines are named after ‘San Mattia’ and are dedicated to the land from which they come; the other three ones were born as a hymn to the power of a hard, calcareous, and sunny land, and are able to talk about meticulous selections, long wilting, and patient maturation in barrel. The DOP Amarone della Valpolicella, obtained from Corvina, Corvinone, Rondinella and Croatina grapes, is the most important wine of the Giovanni Ederle’s production. It is characterized by an intense ruby ​​red colour with violet reflections, it expresses all the strength of the land of Verona, and it is rich in aromas of such red berry fruits as cherries and ripe plums, accompanied by toasted notes of cocoa and vanilla. Its intense and persistent flavour, with soft and balanced tannins, is ideal for such tasty meat-based courses as braised meats, roasts, and game. 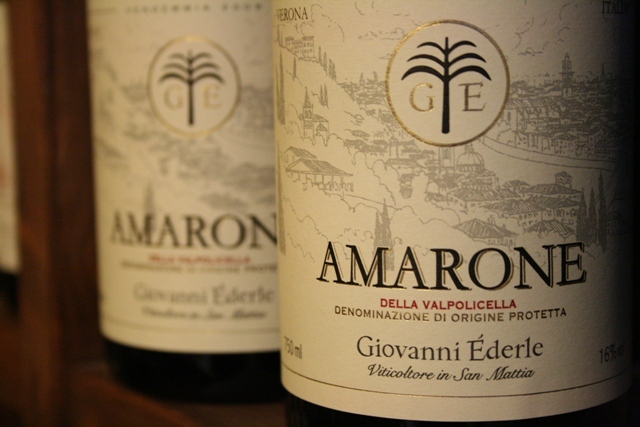 The Amarone della Valpolicella 2009, the last one to be marketed, is now enjoying both local and international successes, including the ‘Diploma di Gran Menzione’ at Vinitaly 2014 and the ‘Commended Medal’ in the world competition ‘2014 Decanter World Wine Awards 2014’, in which over 15,000 labels took part. ‘Rubro del Forte’ is the second red wine of the company. It is characterized by a firm acidity and an unmistakable aroma of wild cherry. It goes very well with meat or ripe cheeses, while ‘Donna Francesca’ is the selection white wine of the company, characterized by a pale yellow colour; it is fresh, fruity and persistent, ideal with first courses prepared with either fish or vegetable, medium-aged cheeses, and meats. Last but not least, there are San Mattia Rosso, refined and harmonious, San Mattia Bianco, characterized by 12° alcohol and a light and lively body, San Mattia Cuvée, a brut sparkling wine with continuous and elegant perlage, and San Mattia Cuvée Rosa, fresh, fruity, and very drinkable. All products are prepared with raw materials processed according to a mix of local tradition and innovation, and some of them are produced in areas characterized by a special safeguard, such as the DOP Amarone della Valpolicella and the DOP extra virgin olive oil ‘Veneto Valpolicella’. 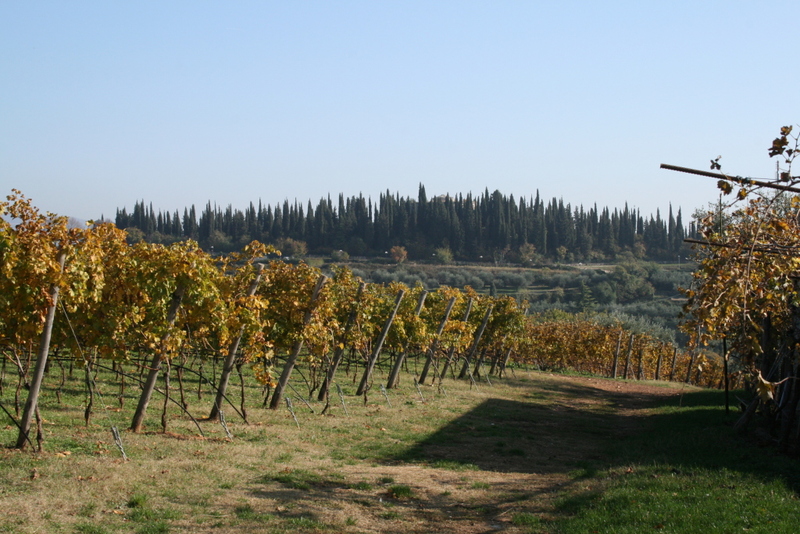 This company, which is part of the Consortium Vini Valpolicella and of the Association of Italian olive oil producers (AIPO), aims at obtaining the Ecolabel certification for active processes in farm holidays and expanding its exports to the United States and Far East. Currently, about 40% of the company's production crosses the borders of Netherlands, Belgium, United Kingdom, Germany, and Poland, and addresses both caterers and private consumers. Special attention is paid to the packaging, which is considered essential in order to communicate both passion and attention in every stage of product creation. The owner explains: «In the packaging of our products, an operation we carry out in an artisan way, we have invested much time and energy, because we are convinced that the study of packaging must necessarily develop within the company, in the minds of those who created the wines. After several attempts and a variety of formats, today we use two different bottles, and cardboard and wood as packaging; we believe that packs, too, are a useful means of communication: as a matter of fact, on our cartons, boxes, and dividers, we report emotional descriptions of our company. We want to communicate the message that our products are genuine and simple, but they draw strong inspiration from the tradition of the places in which they are born». Giovanni Mattia Ederle reveals: «Currently, my greatest satisfaction is to see that the products of the vineyard I planted begin to be spread all over world. The secret of our success consists in that we began to promote our wines by means of wine tourists who attend our company. By establishing with them human relationships, we formed friendships and collaborations which have allowed us to create a remarkable network of micro importers. We will soon begin to plant a new vineyard and in the future we aim at increasing our production. This will be possible thanks to the increased demand we are noticing, despite the start-up phase in which we are. We have a growth potential up to 60,000 bottles. 10 years from now, I see my company active and well established, developed as for area, production and quality, and always driven by the same values​​: respect for our land, and will to give it back the splendour of the past».